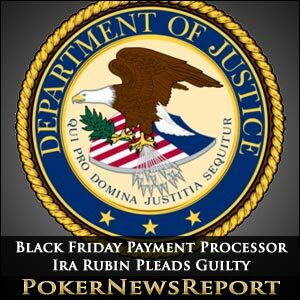 Another Black Friday defendant has admitted guilt in processing payments for online poker sites as Ira Rubin, among the 11 individuals indicted last year by the U.S. Department of Justice (DoJ), pled guilty to three counts and is expected to serve from 18 to 24 months behind bars. Facing nine counts and up to 55 years in the slammer, the 53-year-old admitted to the lesser counts that included conspiring to commit bank and wire fraud and also participating in a conspiracy to launder money. Rubin was arrested in Guatemala in April and was reportedly attempting to travel to and find refuge in Thailand, where many foreigners can blend in with the locals and live rather anonymously. With his attempted escape from justice thwarted, Rubin has remained jailed ever since his apprehension following the Black Friday poker shutdowns of PokerStars, Absolute Poker and Full Tilt Poker. Rubin had been charged with masking transactions with all three of the above-named poker sites by creating fake internet companies that purportedly sold such merchandise as golf balls, flowers and jewelry. Rubin’s guilty plea comes on the heels of a guilty plea in December by co-defendant Brent Beckley, Absolute Poker’s co-founder, who readily admitted to a judge that it was illegal to accept credit cards so that customers could gamble on the internet and that he was also aware that it was illegal to deceive the banks. The 31-year-old Beckley is expected to garner a prison stay of 18 months at his sentencing set for April 19, just one year and four days after the DoJ filings that rocked the online poker industry. Scott Tom, another co-founder of Absolute Poker, faces near identical charges as Beckley, but has thus far avoided apprehension. 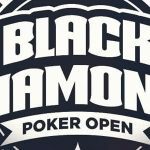 Prior to Beckley and Rubin, the first plea deal among the individuals named as defendants occurred way back in May as Bradley Franzen admitted to acting as a third-party payment processor for the poker sites. By agreeing to waive his right to a trial and copping a guilty plea, Franzen is hoping for a reduced prison bid. Franzen hasn’t been sentenced and his agreement with prosecutors calls for him to cooperate and possibly testify against other defendants should that be necessary. Normally, sentencing in situations such as Franzen’s are delayed until charges against all of the defendants has concluded. A sentencing date of May 17 is scheduled for Rubin, who is no stranger to the courtroom. Prior to processing payments for internet poker sites from 2006 until 2011, Rubin’s rap sheet includes a 2006 arrest for telemarketing fraud in a scheme that involved his company assisting about nine telemarketing firms in Canada that sold phony or non-existing credit cards to American consumers. Following Rubin’s violation of a judge’s temporary restraining order, the same judge signed a warrant for Rubin’s arrest. Rubin hid out in Costa Rica and became involved in third-party payment processing for the at-the-time three top online poker sites in the internet poker industry. Beckley and Rubin may serve their sentences and actually be released before Full Tilt and Absolute Poker players are ever reimbursed of their frozen account balances at the sites. To date, only PokerStars has paid back its players. Full Tilt is presently still in negotiations to be purchased by Group Bernard Tapie for $80 million that is said to include reimbursement of players with involvement from the DoJ. Absolute Poker and Ultimate Bet, as part of the CEREUS Network and owned by Blanca Games, has hinted toward a liquidation of assets in order to facilitate repayment of players. Rumors circulating in the industry have AP and UB players receiving only approximately 20% of the money owed to them. However, these are merely rumors and have never been substantiated. Elie’s lawyer also is of the belief that poker sites and payment processors aren’t persons engaged in the business of wagering as set forth by the UIGEA, arguing that neither depends on the result of a sports contest or a game subject to chance. So the debate of whether poker is more a game of skill or chance may also come under scrutiny in the upcoming trial. But as any knowledgeable poker player already knows, poker is a game in which a player’s skill will predominantly prevail in the long run.